You're probably thinking - "What did she do to that dress?" 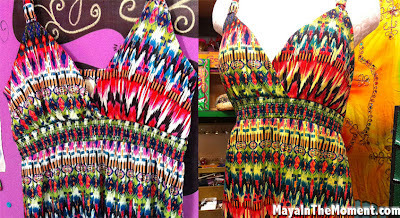 Actually it started out how you see on the left, a patterned print with a white background. I love the dress but thought it would look even better with an ombre style coloring added. It was an experiment that worked! Just because fabric has a print on it doesn't mean that you can't add some dye techniques. Once you realize this it will make you see fabric and clothes in a while new way! 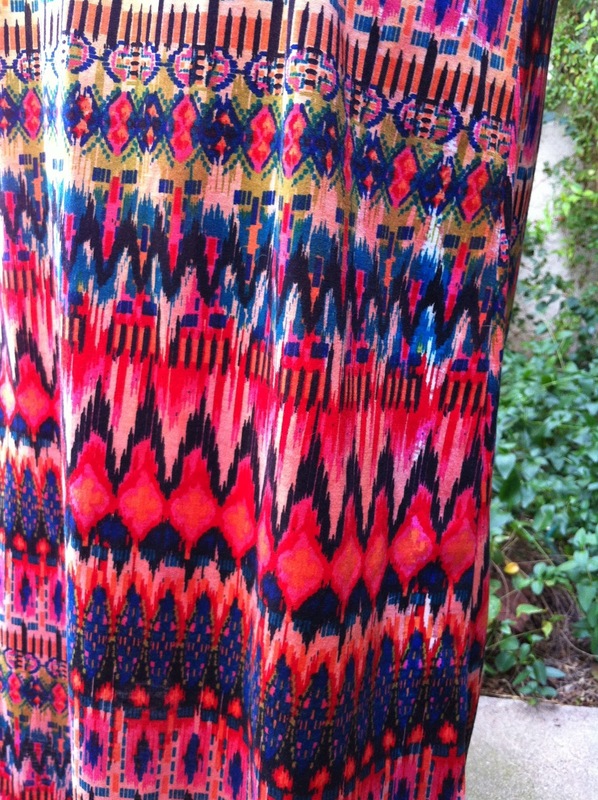 I really dig the southwestern design of this dress, but wanted it even more colorful. First off - make sure your dress is cotton or rayon. 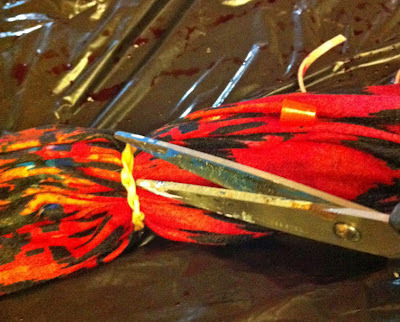 Polyester won't hold the dye. Aside from that, we are good to go! Line your work surface with a plastic liner or garbage bag. 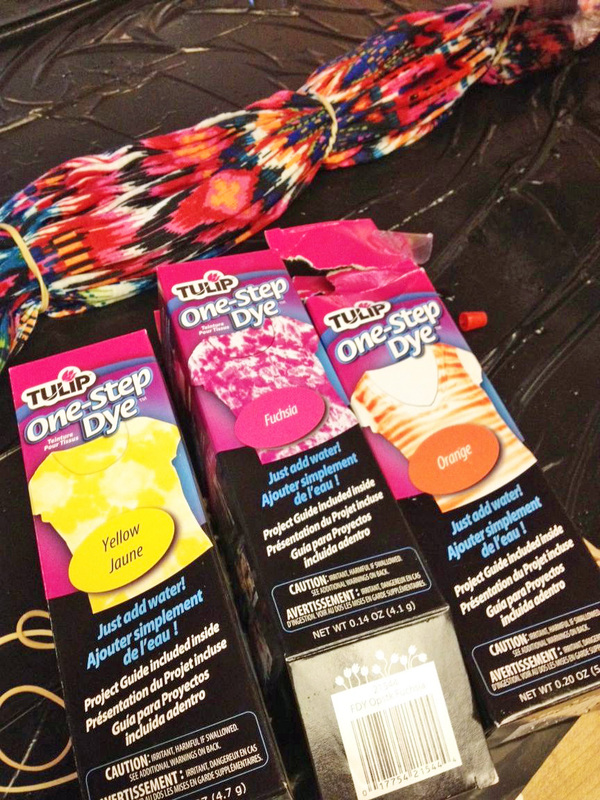 Open the boxes and add water to the dye bottles according to package directions. 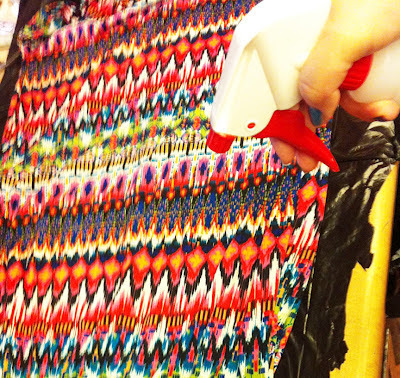 Dampen the dress with a spray bottle of water. If your dress is brand new, wash it first to remove sizing. Add rubber bands (optional) and apply the darkest dye on the bottom third of the dress, and the medium in the center and lightest on the top. Roll up the dress in the liner and let it sit for six hours. 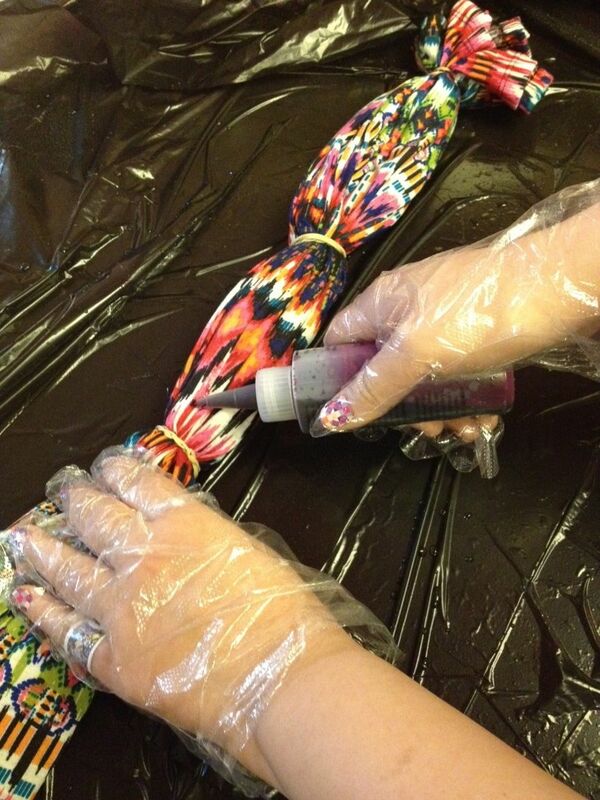 This will ensure that the dye bonds with the fabric fibers. After six hours, open the plastic and cut away the rubber bands. Wash the dress in your washing machine on the lightest cycle with cold water, hang dry. And here it is! She how the bottom is hot pink, the middle is orange the the top is yellow? 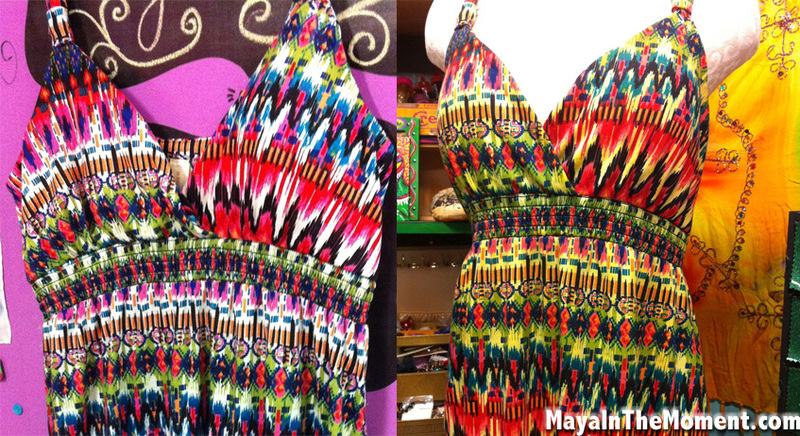 It really adds a special touch to the dress, it makes it more...more...MAYA IN THE MOMENT!!!! Come hang with me on Facebook, click here to add me! Oh you fancy huh? I never thought to do the ombre effect with a print! Looks good!